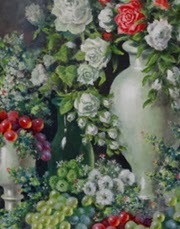 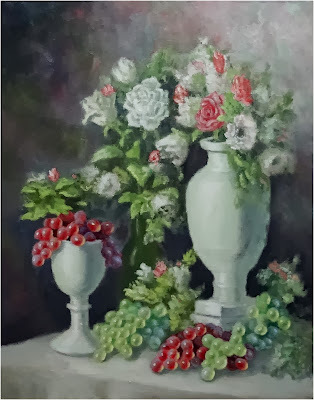 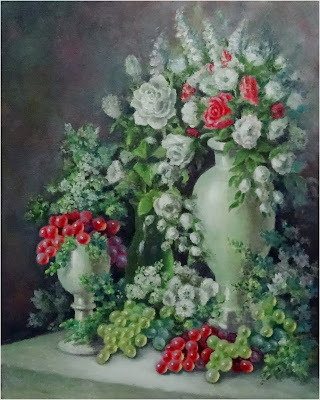 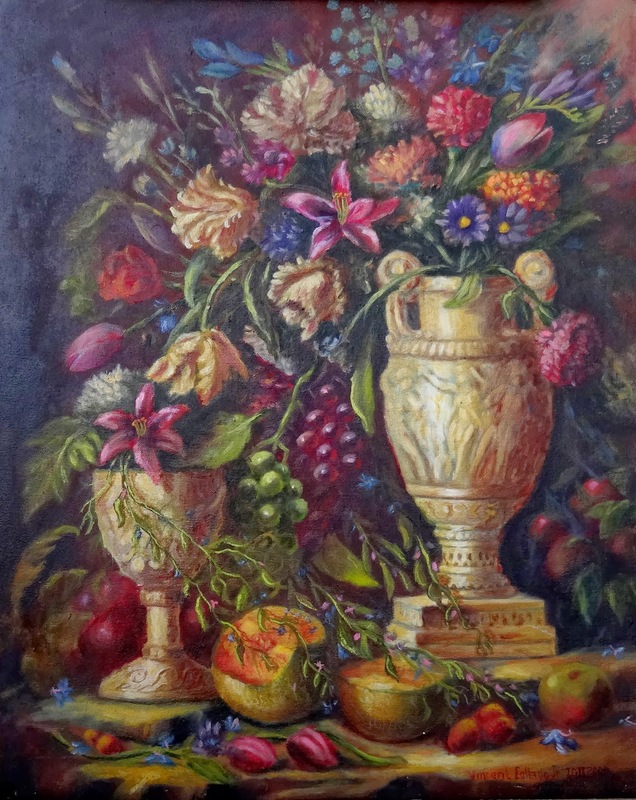 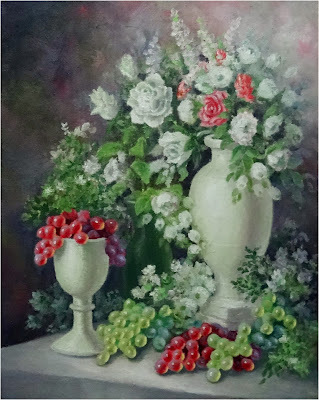 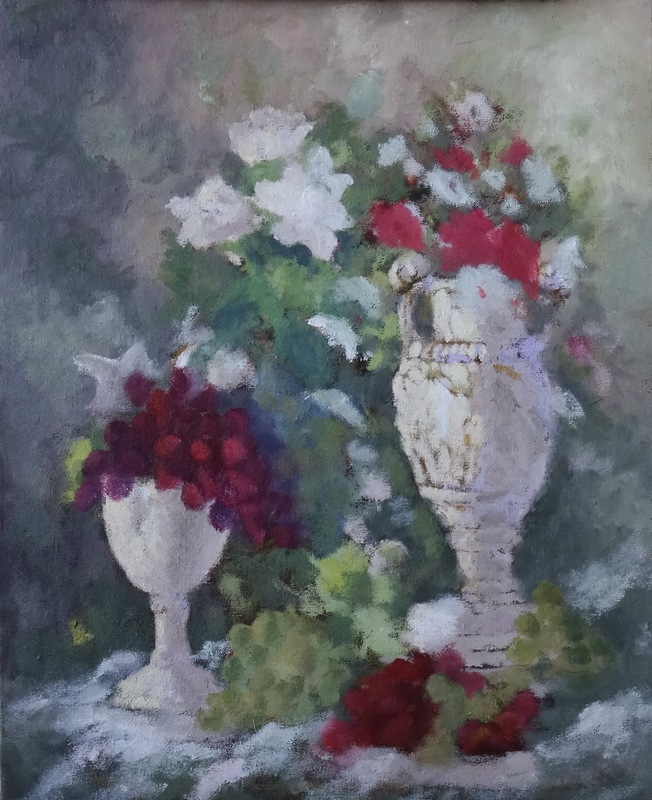 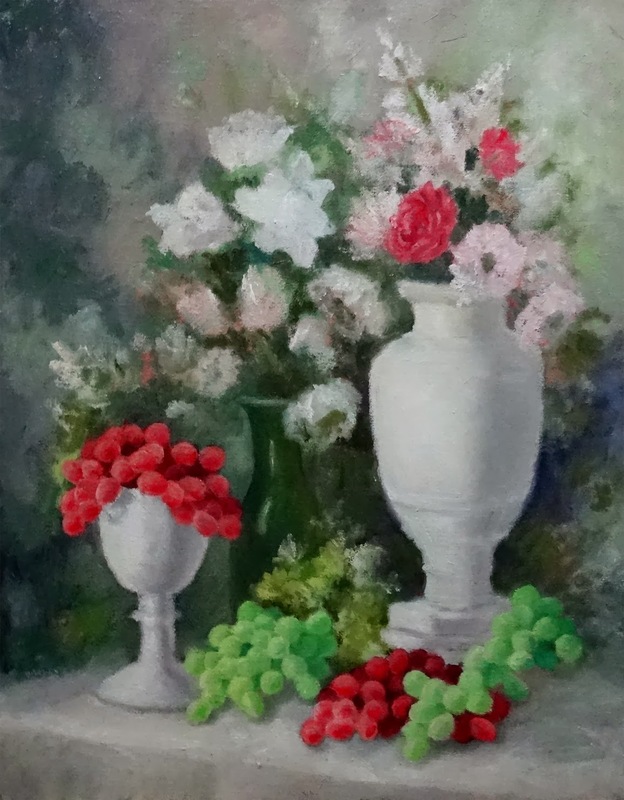 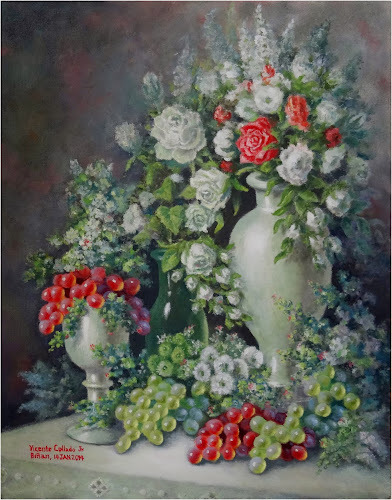 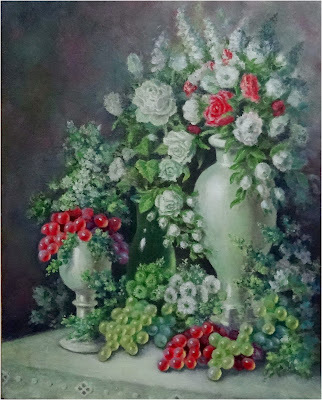 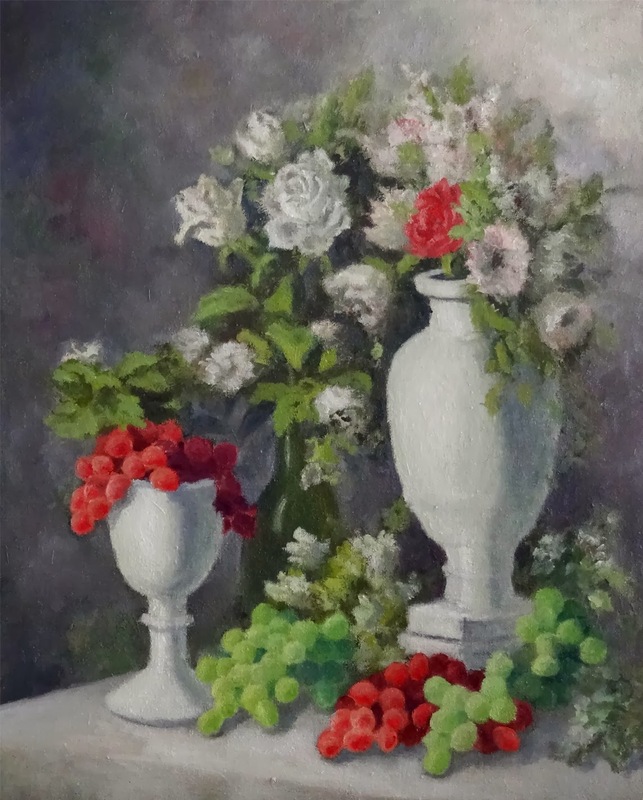 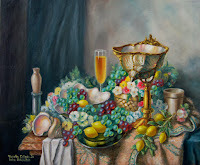 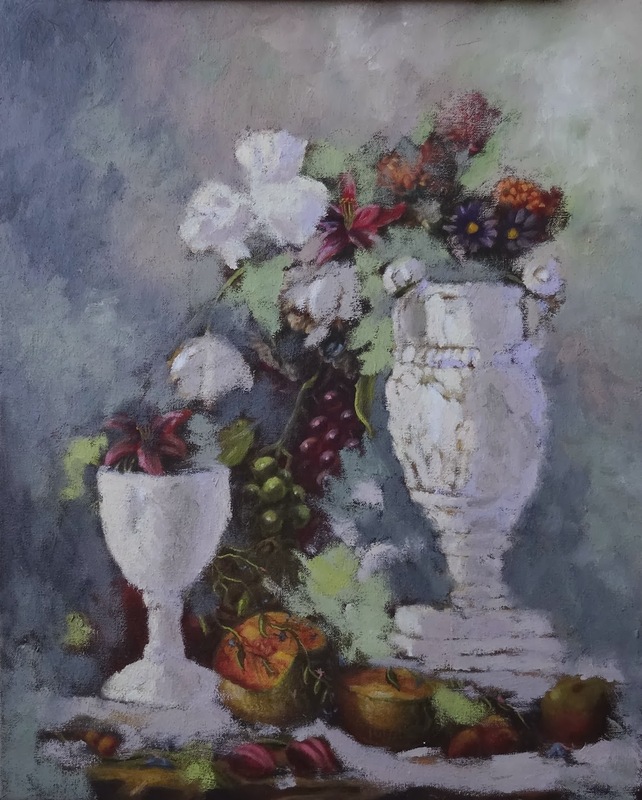 This piece is a transformation of the painting below, a still life with a Greek urn I copied from an art book many years ago. I tried to improve the composition by enhancing the color unity and harmony but retaining the original chaos. The following photo sequence shows some of the significant intermediate stages in the makeover.